If you are frustrated due to your child’s head lice problems, call The Lice Place right now. Don’t waste your time, energy and money on trying various non-effective methods for the problem. Instead, contact our Birmingham lice removal clinic and get immediate solution through our Birmingham, AL Lice Treatment services. 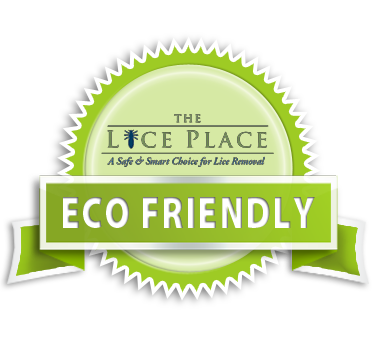 The Lice Place is a recognized leader in the lice removal industry. We are Alabama’ most trusted company and have many years of combined experience in providing safe, fast and effective lice treatment and products. Being an all in one lice removal franchise, The Lice Place offers a range of lice treatment products to use at home. These products include TLP shampoo, mousse, conditioner, spray and terminator comb. All our products are formulated with natural ingredients and oils and so offer the most natural safeguard from head lice and nits. You can call us at 205-424-5165 if you have any questions about any of our products. The Lice Place is the only company in U.S. that is owned and run by a registered nurse. We are also an NALTP certified member. We take complete care of our customers’ interests and are bound by specific guidelines that protect our customers from any sort of harm. At The Lice Place you will always get discreet treatment and private treatment rooms. We also have infection control policy at place that makes sure that our clients don’t get lice and nits after visiting any of our clinics. Over the years, The Lice Place has treated thousands of children and adults. You can also get complete solution to your family’s’ head lice problems and can get rid of it with just one time treatment application. With us, you will also get professional counseling and guidance in preventive measures. When you follow our advice and use our effective products, you will never get re-infested with head lice and nits. Call us today to get your appointment scheduled. Our Birmingham, AL Lice Treatment offers the most effective and natural cure to lice and nits problems.